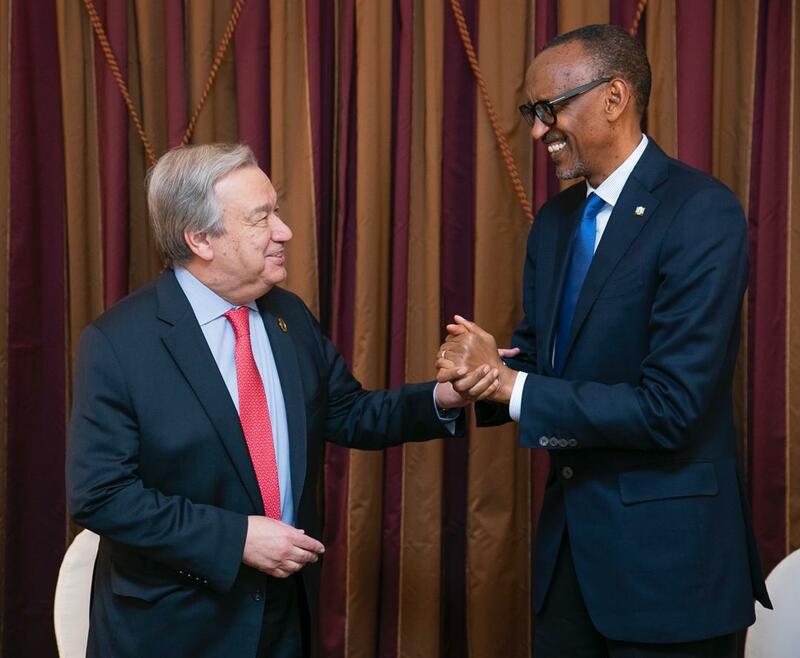 President Kagame meets with António Guterres, Secretary-General of the United Nations ahead of the 32nd Ordinary Session of the Assembly the African Union. President Paul Kagame has said that Africa has made tremendous strides to promote the health sector, but added that the continent still has a long way to go to attain Universal Healthcare Coverage. Kagame was speaking in Ethiopia’s capital Addis Ababa on Saturday, February 9, at the launch of a new initiative aimed at increasing commitments for health and accelerating the path towards Universal Healthcare Coverage. “Investing in the health of our citizens has already had transformative effects on the people of our continent. But there is much more to do. That is why the outcome of this meeting is so important,” he said. 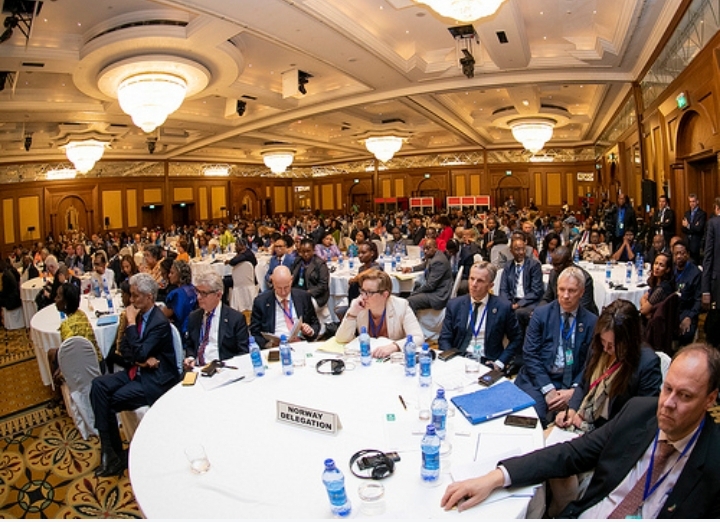 The event, dubbed ‘Africa Leadership Meeting: Investing in Health’, brings together African Heads of State and Government, business leaders, and global health organizations to devise ways to help deliver increased, sustained and more impactful financing for health across Africa. Speakers at the event included Kenya’s President Uhuru Kenyata, Prime Minister Erna Solberg of Norway, President Cyril Ramaphosa of South Africa, and Microsoft founder Bill Gates. A World Health Organisation (WHO) report released last year indicated that there has been a significant improvement in the state of health in Africa with healthy life expectancy – time spent in full health – in the region increasing from 50.9 years to 53.8 between 2012 and 2015 – the most marked increase of any region in the world. However, the report signals what is currently making Africans sick – highlighting lower respiratory infections, HIV and diarrhoeal disease as the most deadly ones. The report also indicated there has been a 50% reduction in the burden of disease caused by what have been the top 10 killers since 2000 and death rates on the continent dropped from 87.7 to 51.1 deaths per 100,000 persons between 2000 and 2015. Addressing delegates, Kagame suggested what the continent needs to improve the sector. “Let me leave you with four points. First, governments should surely be willing and able to increase domestic investment in healthcare,” he said. Finally, Kagame said Africa needs private sector to play a key role in its health targets. “The private sector is the key to success. The role goes beyond taxes and philanthropy as central as those are. We also need to see the private sector investing more in the business of healthcare in Africa as service providers,” Kagame said. “Companies can also ensure their employees have high-quality, private health insurance coverage. This creates more demand in the market, and allows governments to focus on the most vulnerable,” he added. 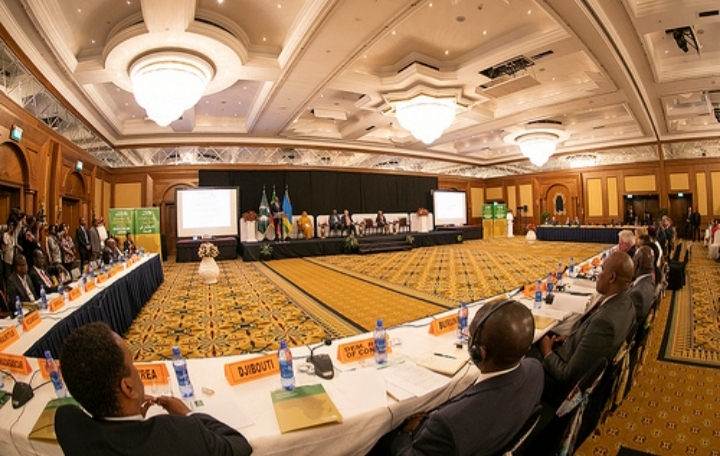 Kagame, who is expected to handover rotational African Union (AU) chairmanship tomorrow, said that reminded delegates that Africa is entering a period where most of the special health financing vehicles must replenish their resources. “This creates the necessity, or rather the opportunity, for Africa to increase its ownership of the process. Together, we can set an even more ambitious agenda for the next phase,” he said. 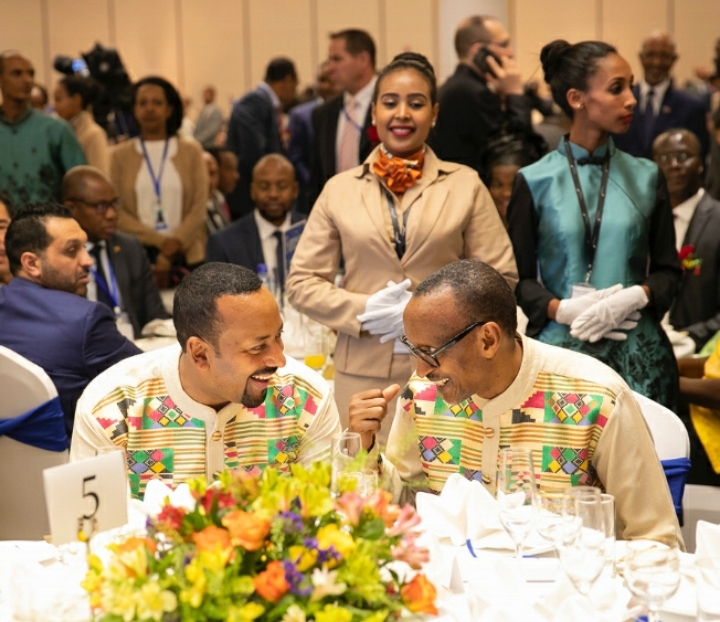 Later in the evening, President Kagame attended a Gala Dinner hosted by Prime Minister of Ethiopia Abiy Ahmed in honour of Heads of State and Government attending the 32nd Ordinary Session of the Assembly of the African Union which kicks off tomorrow, 10 February 2019.